First Floor Studio Apartment sited on a well established residential estate to the south east of the town centre in a favoured residential area. Briefly affording: White uPVC double glazed front door giving access to Entrance Hall. Lounge with fold down bed and built in wardrobes. Kitchen & Bathroom comprising of a three piece white suite.To the exterior is a dedicated parking space. Located to the favoured east end area of the town an opportunity to acquire a Purpose built First Floor Apartment situated conveniently for the Town Centre and Promenade. The apartments are age restricted and all applicants must be over 60 years of age or 55 years of age if disabled. Accommodation briefly affording: Shared Hallway with stairs to First Floor and leading to Apartment 28. Entrance Hall, Lounge & Fitted Kitchen/Diner Two Bedrooms & Contemporary Shower Room with a three piece suite. To the exterior there are communal garden areas and parking. 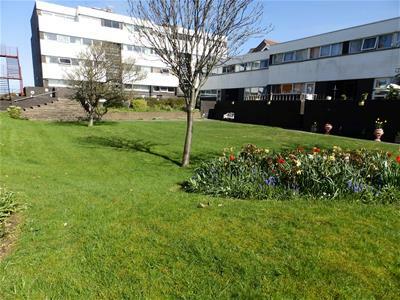 Purpose built First Floor Apartment situated conveniently for the Town Centre and Promenade. The apartments are age restricted and all applicants must be over 60 years of age or 55 years of age if disabled. Accommodation briefly affording: Shared Hallway leading to Apartment. Entrance Hall, Lounge & Fitted Kitchen. Two Bedrooms & Bathroom with a three piece suite. To the exterior there are communal garden areas and parking. Also included is a Minnivator chair lift to the First Floor and Apartment 31. An opportunity to acquire a 2 Bedroom end terraced House centrally situated for local shops on Wellington Road and a 10 minute walk of Rhyl High Street and its facilities, Bus Station and Railway Station. Briefly affording Entrance Hall, Lounge/Diner and Kitchen. To the First Floor: 2 Bedrooms and Bathroom with 3 piece white suite. NO ONWARD CHAIN - An opportunity to acquire an end terraced House situated in a quiet cul de sac yet still in close proximity of the town centre. The property briefly affords: Entrance Vestibule, Lounge/Diner, Fitted Kitchen and Ground Floor Shower Room. To the First Floor are 2 Bedrooms. To the exterior the property benefits from new carpets and fresh decor throughout and car parking to the front with enclosed courtyard to the rear. 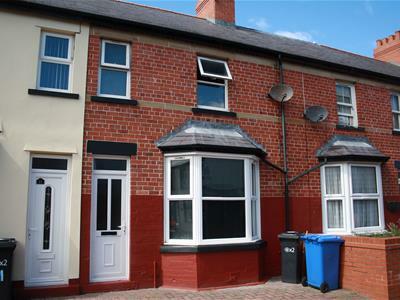 IDEAL INVESTMENT or FIRST TIME BUYER OPPORTUNITY. 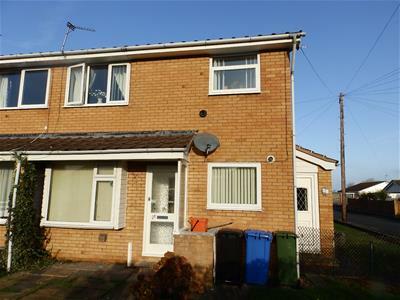 End Terraced House sited in a very convenient location for amenities and the Town Centre including having a Morrisions Supermarket in the nearby vicinity as well as Bus and Rail services. The accommodation briefly affords: Lounge, Dining Room, Modern Fitted Kitchen, 2 Bedrooms and Family Bathroom. Gas Central Heating and uPVC Double Glazing. To the exterior is a rear yard area. An opportunity to acquire a Ground Floor Duplex Apartment situated on The Promenade. The apartment is within close proximity to the town centre and all the amenities including High Street shops and public transport links. Briefly affording: Entrance Hall, Lounge, Kitchen/Diner and Cloaks Room. To the Lower Ground Floor are 2 Bedrooms and Bathroom. To the exterior there are communal Gardens to the rear and a dedicated car parking space. Mid Terraced House sited in a convenient location being close to local Parade of Shops, Town Centre and its amenities and local Schools. Briefly affording: Entrance Hall, Kitchen, Dining Room, Lounge, 3 Bedrooms and Bathroom with 3 piece suite. Enclosed yard area to the rear. NO FORWARD CHAIN - Located to the popular east end area of the town being conveniently located for local Shops, Promenade and Sea Front. Number 21 is a ground floor Flat situated in a block of four and briefly affords: Entrance Hall, Lounge, Fitted Kitchen, 2 Bedrooms and Bathroom with 3 piece suite. Gas Central Heating & uPVC Double Glazing. Ideal 1st time buyer or retirement property. 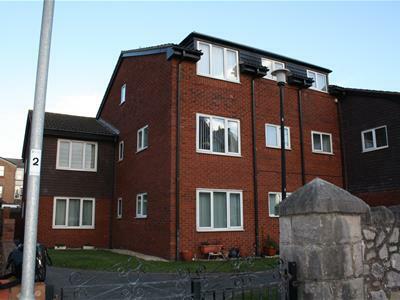 Located to the south east of the town centre an opportunity to acquire a newly refurbished Ground Floor Flat which briefly affords the following accommodation: Entrance Hall, newly fitted Kitchen with built in appliances, Lounge, newly installed Bathroom suite and 2 Bedrooms. The property also benefits from quality floor coverings throughout and tastefully decorated. White uPVC double glazing and new Gas Central Heating system via a combination boiler.